Oxley Nets 'behind goal' football netting is visually unobtrusive, and provides the safety and convenience required by your AFL, Rugby League or rugby club. 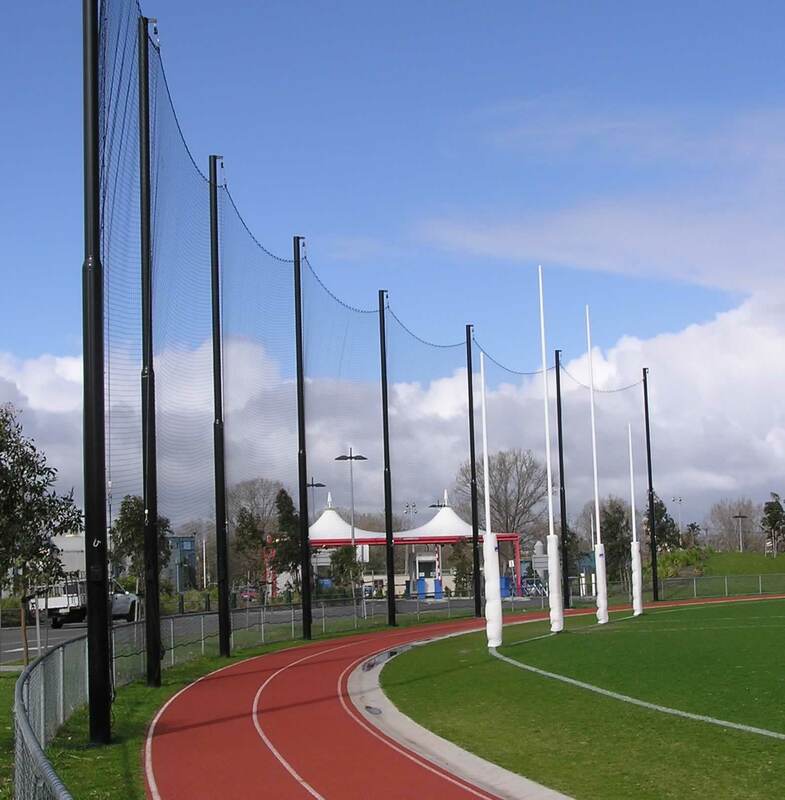 Proud to have manufactured and installed the MCG goal nets, and many more stadiums around Australia. Looking for soccer goal nets instead? Oxley Nets can provide a safe solution to the inconvenience of losing the football mid match, as well as the real hazard of footballs kicked onto the roadway, with our behind goal netting. As a more cost effective and visually pleasing alternative to the traditional chain wire fencing, behind goal netting (or backnets) can be designed to suit the specific requirements of your clubs sports fields. We can engineer the total backnet solution around curved sports fields or in a straight line...and we will manage the complete installation, from the manufacture of the Nets to the design, manufacture and installation of the support poles onto engineered footings. So when Victorian Country AFL wanted to provide backnets on many of its fields around the state, they came to Oxley Nets for complete supply and installation. 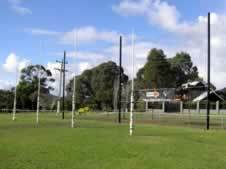 Oxley Nets has provided a number of netted indoor kicking nets for the practice and warm-up of AFL football teams. 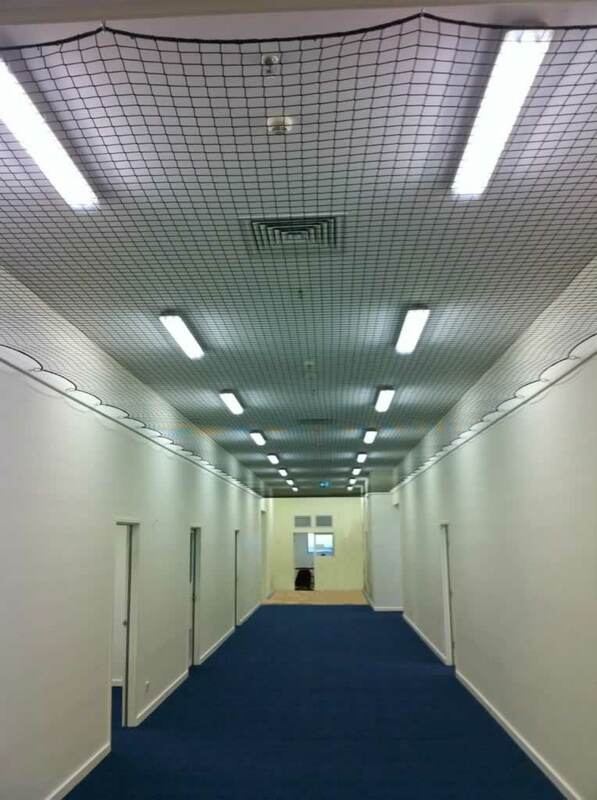 Etihad Stadium, the Richmond Football Club, and most recently the Greater Western Sydney (GWS) Giants, are just a few of the installations we have designed and installed to allow football clubs to undertake indoor kicking practice safely.